A little boy eagerly unwraps a present from Santa, his eyes wide with anticipation. 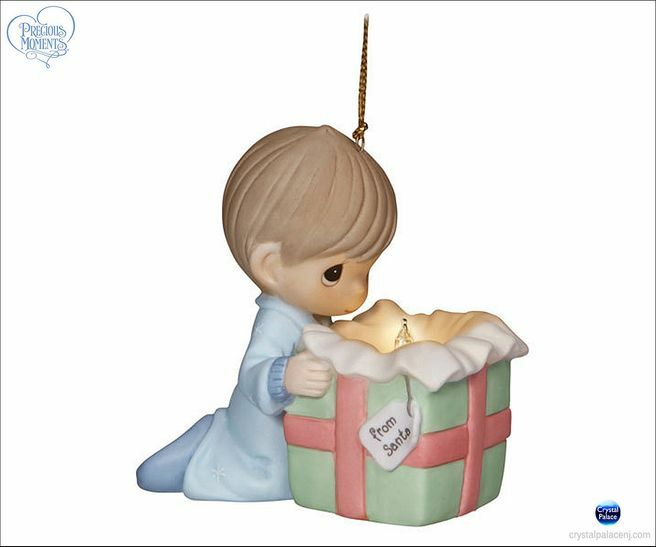 His expression is as bright as this ornament itself, which brightens-up with a bulb from your holiday lights. Bisque porcelain. 3” H.